Dragon Ball: That Time I Got Reincarnated as Yamcha Review – AiPT! What if you were transported into your favorite manga series…as its lamest character? It’s a fantasy we’ve all had at some point: “What if I were X character.” Whether it’s a movie, comic, video game or whatever, the power fantasies of fandom are an intoxicant that few can resist. As such, it’s no surprise that a number of manga have popped up over the past several years doing precisely that. Sure, a lot of it is fanfiction about “writing the wrongs” of a beloved series or positing some kind of “What if?” scenario, but there’s fun to be had from series like these. It should come as no surprise that a lot of these series take place in the Dragon Ball universe. Now as I said before, these are typically power fantasies suggesting how fans themselves would handle super powers, meaning our leads tend to glom onto the coolest or most powerful characters. That’s what makes dragongarow LEE’s slant on the series so interesting. You see, rather than imagine his lead as Goku (the strongest) or Vegeta (the coolest), Lee’s protagonist is magically transformed from his rather mundane life as a powerless everyday otaku into the single lamest and (second) weakest member of the Z Fighters, Yamcha. One thing most fans often forget, though, is that even the lamest Z Fighter still has unfathomable powers. Sure Yamcha is so lame that there is more than one toy commemorating his death, but the dude can fly, possesses super strength, is faster than bullets, and can generate energy blasts powerful enough to decimate solid rock. Sure, against the Saiyans he’s a total chump, but stack him against a normal man (or even most western superheroes) and he’s unstoppable. As such, when our hero (again, a lame real world nerd) bangs his head trying to check out a cute girl only to wake up as the desert bandit of his favorite manga series, it has to be considered a serious upgrade. Sure there’s a moment where he recognizes that Goku or Vegeta would be preferable, but our nameless hero soon realizes that his encyclopedic knowledge of the Dragon Ball franchise will give him the leg up on future events in the series. Honestly, he does manage to make the most of it for a little while – which is to say he’s useful in exactly one of the major events in the Dragon Ball continuity before returning to complete obscurity. Yes the first two chapters detail our hero’s journey into relevancy as he prepares for the arrival of the Saiyans — a conflict he (and in fact all of the Z Fighters) manages to survive! Through an advanced training regimen, including a trip to the eldest Namek, Yamcha heads into the battle against Vegeta and Nappa with a power level of OVER 10,000(!!!!) allowing the scarred warrior to actually compete with Saiyan menace. 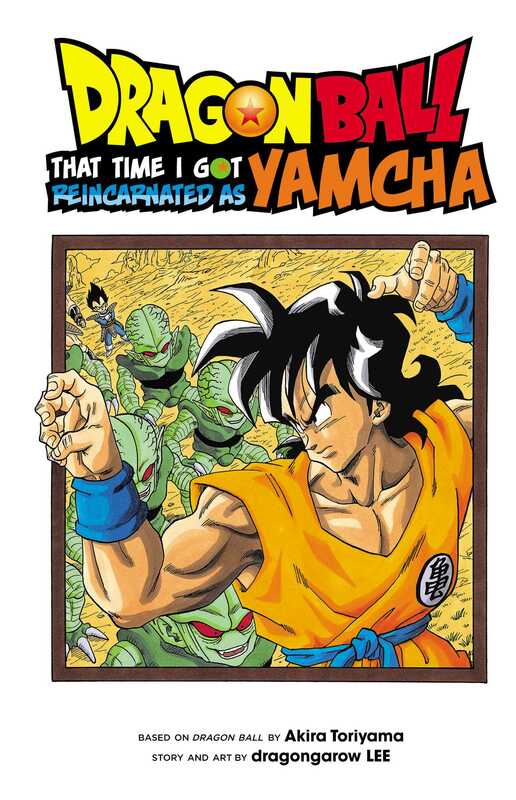 Of course, he’s soon eclipsed by the likes of Goku, Piccolo, and the rest of the non-human cast, but for a minute there it’s Yamcha’s time to shine. It should be said that this is the best sequence in the book. Yeah it’s pretty fanficy, but it’s better than the longing for Bulma sequences and stands head and shoulders above the rushed and uninteresting third chapter in which we learn that our hero isn’t the only one that made the jump from the real world into the world’s most famous anime. That’s right, the third chapter sees our hero face off against his old trivia rival and fellow reincarnated real worlder, Oushou, who has returned to life as the only Z Fighter who was dropped from the active roster faster than Yamcha, the diminutive emperor Chiaotzu. The thing is, Oushou took his lot as the weakest member of his favorite fictional universe decidedly less gracefully than our protagonist, and hopes to become the villain of the piece. What precisely that means, however, isn’t clear, as he isn’t discovered until the Cell saga and seemingly hasn’t done anything nefarious to this point. Now admittedly, though he and Yamcha face off in maybe the second best fight sequence of the series (and the only one we see from start to finish), this section feels unnecessary and tacked on. I get that LEE, as a true Dragon Ball stan, knew that no amount of training or days spent in the Room of Spirit and Time would bring Yamcha up to the level of even Piccolo, and therefore found something for him to do past the Saiyan saga, but this wasn’t developed enough to keep your attention for too long. With all that said, this book definitely showcase’s LEE’s love of the Dragon Ball mythos. The art is a dead ringer for Toriyama’s original work (though a touch less detailed than Dragon Ball Super’s Toyutarou) and his understanding of the pacing and function of action matches the source material well enough to make some of the fights rather cool. Still, there’s little getting around that this series really skirts the edge of fanfiction. It’s a fun outing for the Dragon Ball faithful, but is perhaps too dependent on familiarity with the series’ tropes and lore in its setup and execution for new or casual readers. It's harmless fun for serious fans of the series, but it lacks the originality or depth needed to hook new readers.